(Newser) – The father of a 19-year-old who died in 2015 after drinking Monster Energy drink is now suing its manufacturer, TMZ reports. Dustin Hood suffered a cardiac arrhythmia on the basketball court and died at the hospital shortly after. He's believed to have imbibed three large, 24-ounce cans of the "Mega Monster Energy" beverage, per the Inquistr. That means Hood may have ingested more than 700mg of caffeine in a 24-hour period. The Mayo Clinic reports that up to 400mg "appears to be safe for most healthy adults," while the American Academy of Pediatrics is even more conservative in its estimates for teens, saying child and adolescent caffeine consumption shouldn't exceed 100mg per day (and that kids shouldn't be drinking energy drinks at all, as they have "no therapeutic benefit"). 700mg eh??? So basically about 2 and half premium "coffee house" Lattes. Pshhhh. Basic Ugg wearing white chicks drink 3 times that during their average shopping trips at the mall. I think this father should have an autopsy done instead of jumping to conclusions to make an easy buck. He probably doesn't want to believe it, but his son was most likely on a combination of illicit stimulant drugs and large amounts of caffeine. He could have been prescribed ADD/ADHD medication (typically stimulants) and he probably has no clue what they are and how they act on one's body. Either that, or his "little angel" was buying amphetamines or cocaine from his buddies in order to "perform" at his basketball game. There's absolutely no way in hell a healthy teenager keels over dead from drinking a few energy drinks unless they have a pre-existing condition or they are combining it with other stimulants. 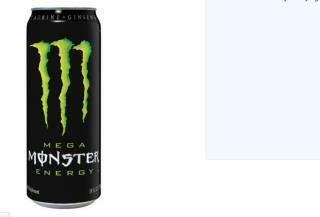 A 16oz can of Monster Energy Drink (standard size) contains 160mg of caffeine from all sources. Plain ole coffee has almost twice that in a 12oz serving. While the FDA says 400mg is the max, the average American consumes almost twice that on a daily basis, teenagers and college students in particular. Hell I used to have my own coffee pot to myself that I would fill and finish by myself every day, plus the Mtn. Dew, Sun Drop, and few cans of Red Bull or Rockstar extra strength (350mg in a 16oz can) or Monster. All that said, if it was in fact the Monster that killed him, then it's his own dumb fault. The 16oz cans SPECIFICALLY SAY to NOT consume more than TWO in a day. It also says to avoid if you have any sort of sensitivity to caffeine or have any sort of Cardiovascular issues. I HIGHLY doubt this was the first time this teenager consumed an energy drink of any kind, and I highly doubt he was not a consumer of caffeine in general (to which you build a tolerance to rather quickly. Days in fact). So even though it is HIGHLY unlikely and immensely improbable that the energy drinks are to blame, there is a slight chance. If so, there's still no lawsuit here because the kid pulled a dunce move by chugging 3 of 24oz cans. So if he shoots hisself in the head with a gun 24 times and doesn't kill himself then does it a 25th time and does you can sue the gun industry, bullet industry and your school for not telling you that the 25th time will kill you? Lawyers hang 'em all!